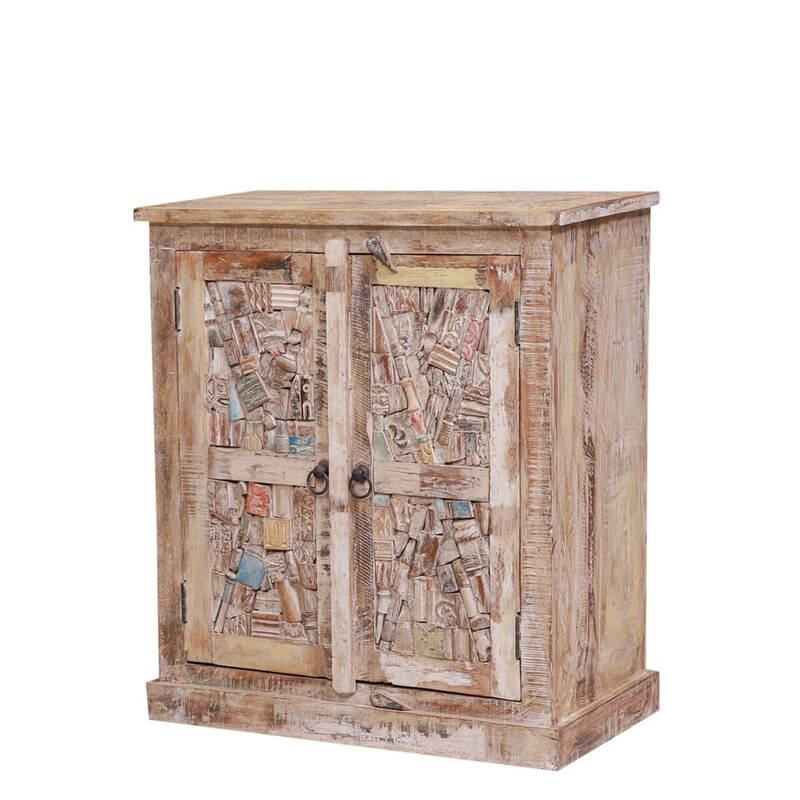 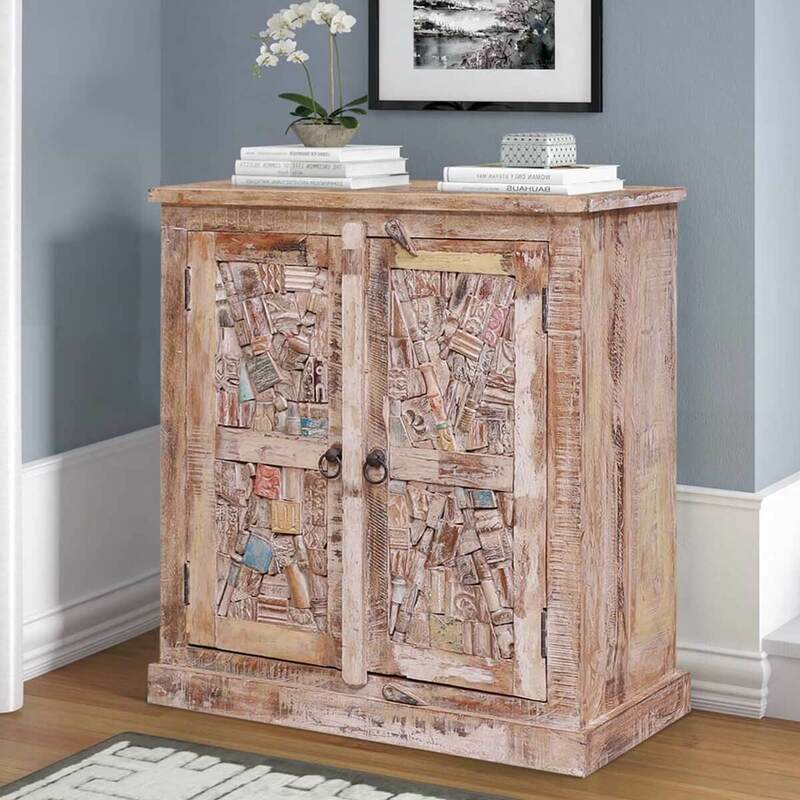 Understated elegance and asymmetric charisma meet in the stylishly attractive aesthetic of our gorgeous Sadieville Abstract Mosaic Distressed Reclaimed Wood Storage Cabinet! 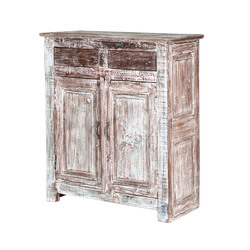 Featuring a white-washed finish with a stunning wooden grain taking center stage, this solid wood cabinet offers the best of visuals, pragmatics, and qualitative value. 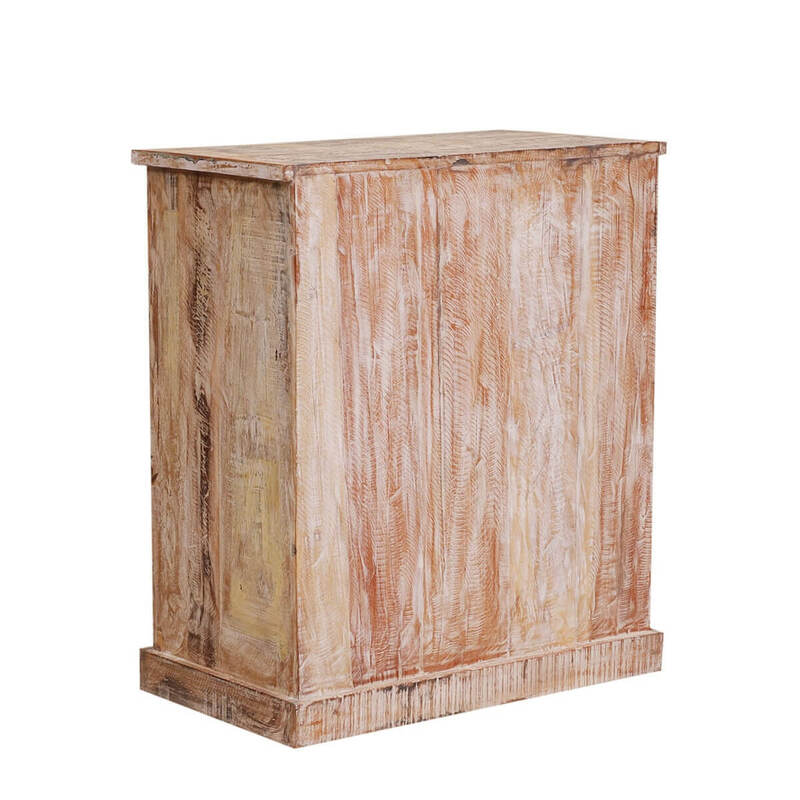 It’s a beautiful piece that can accent even the simplest of interior designs with its graceful aesthetic. 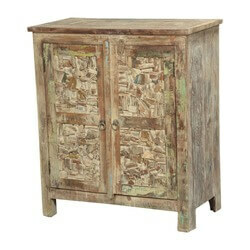 It has been handcrafted from some of the sturdiest solid reclaimed wood pieces and boasts an excellent heirloom quality. 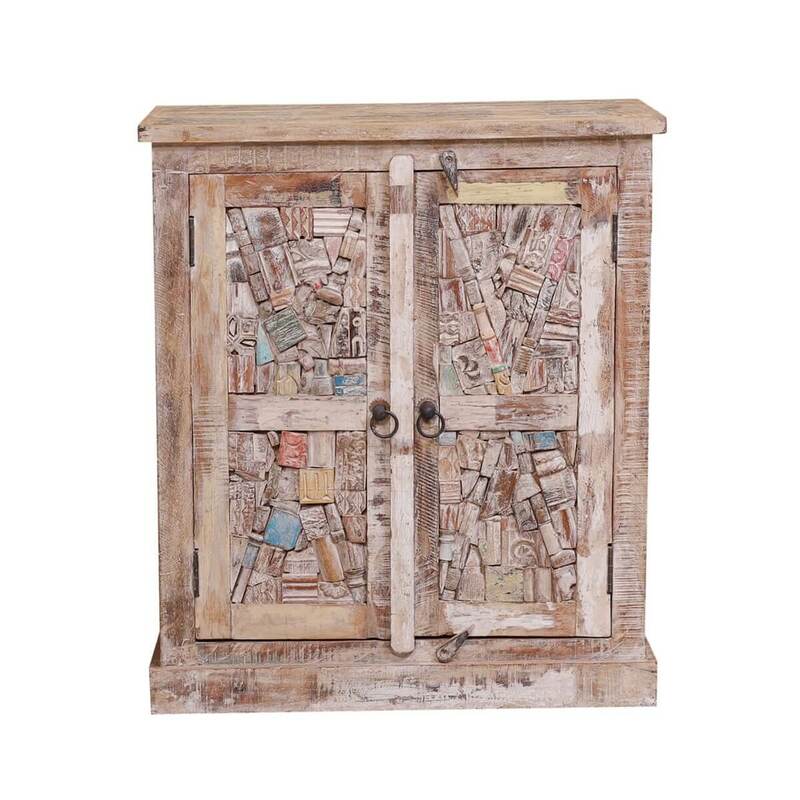 The design of this salvaged wood cabinet is definitely one of the best you’ll ever see. 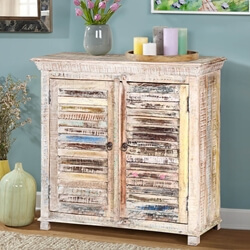 The extended top frame is primed for miscellaneous décor pieces like vases and photo frames. 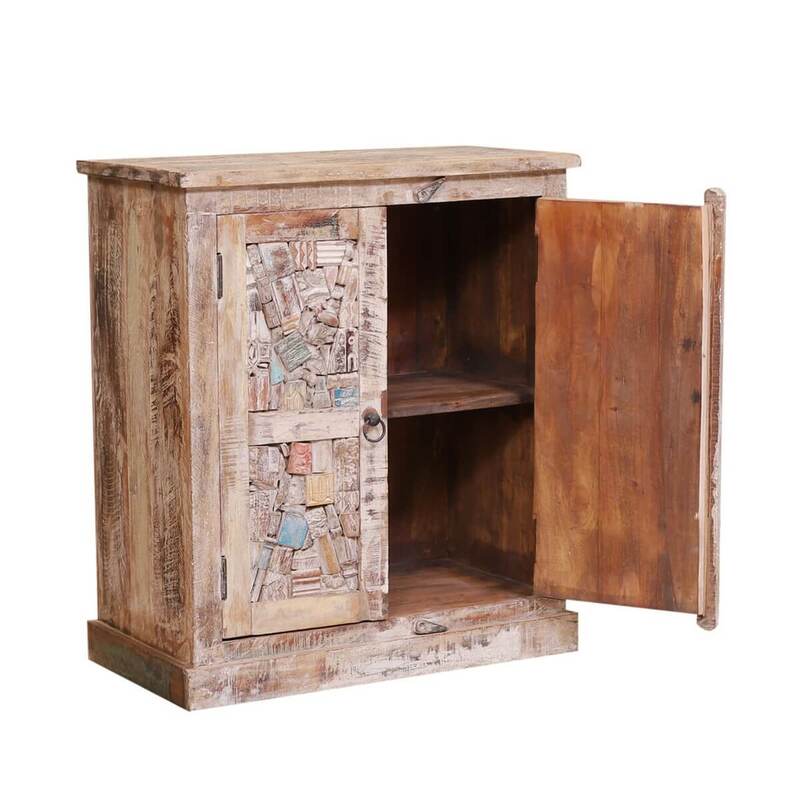 The middle part is comprised entirely of a double-door cabinet that has 2 spacious compartments inside. 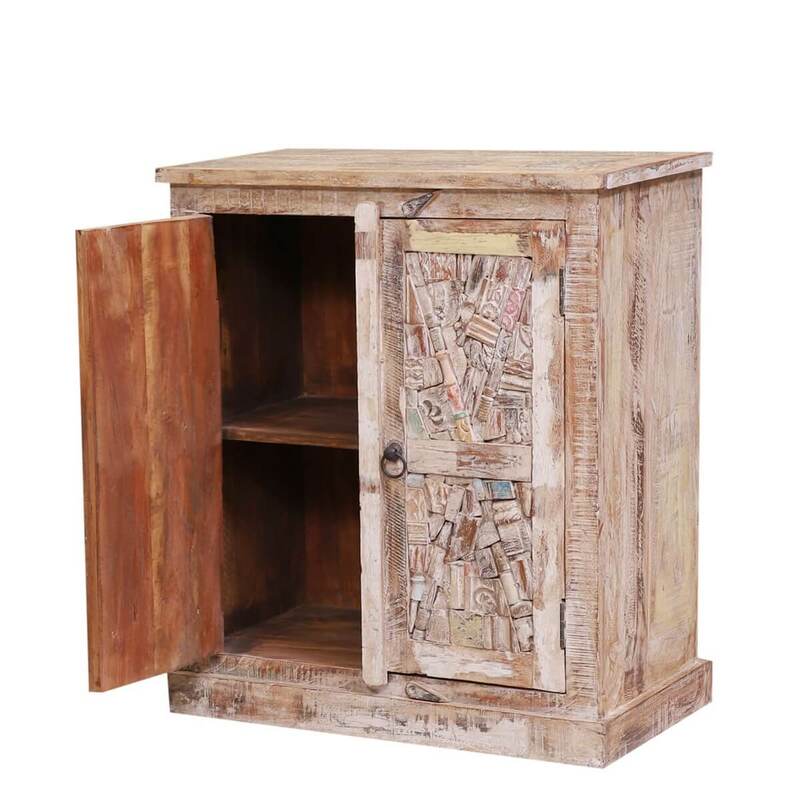 You can put a number of things in there depending on the placement of this piece – be it serve-ware, books, documents, or more. 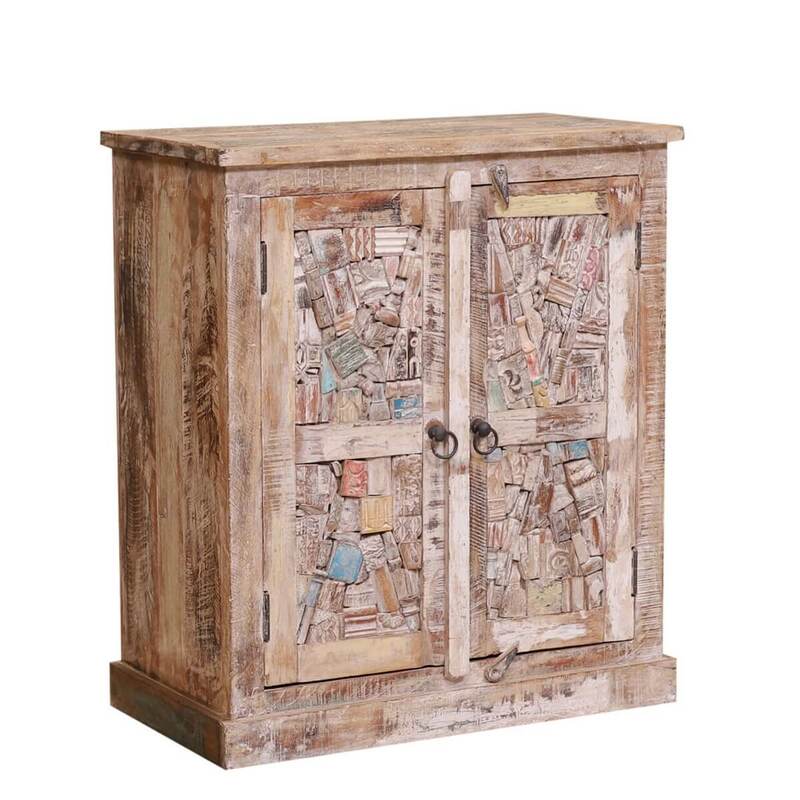 The door-leaves are embellished with an abstract mosaic formation that resembles a natural stone aesthetic. 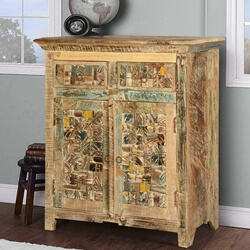 This enhances the visuals two-fold and complements the plain platform base that supports the whole piece nicely.